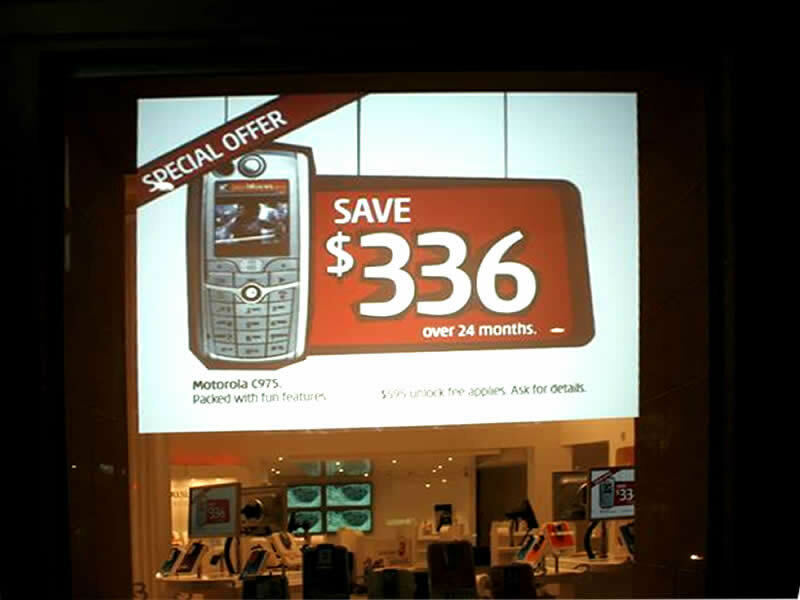 Command's On-Glass Projection system provide a wow-factor like no other signage. 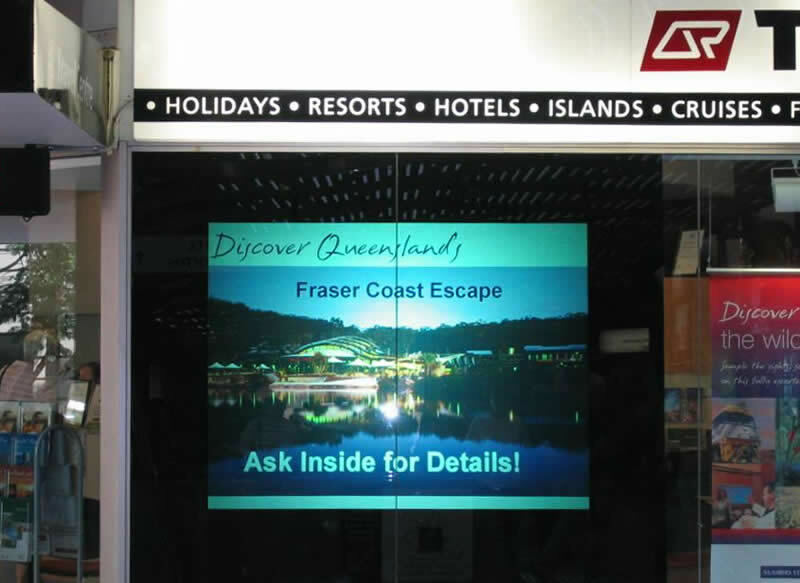 The dwell time at an on-glass projection display is far superior to other types of signage with viewers showing a high level of interest in this exciting technology. 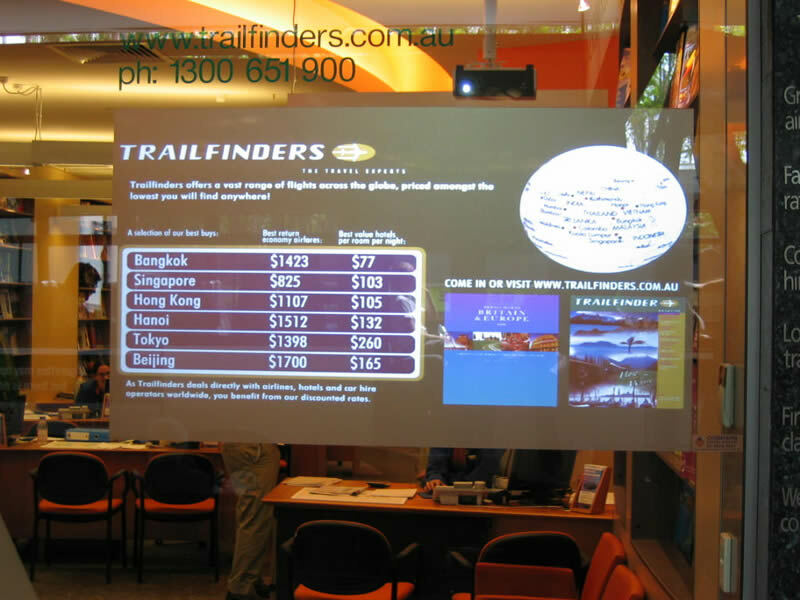 The technology allows a projected image to be displayed directly on the glass and with todays projector technology allowing up to 20,000 hours of lamp life, the on-glass solution is a match for other screen based solutions. 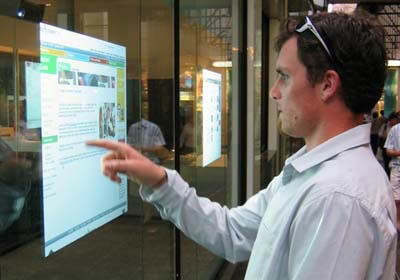 No other technology stops people in their tracks. 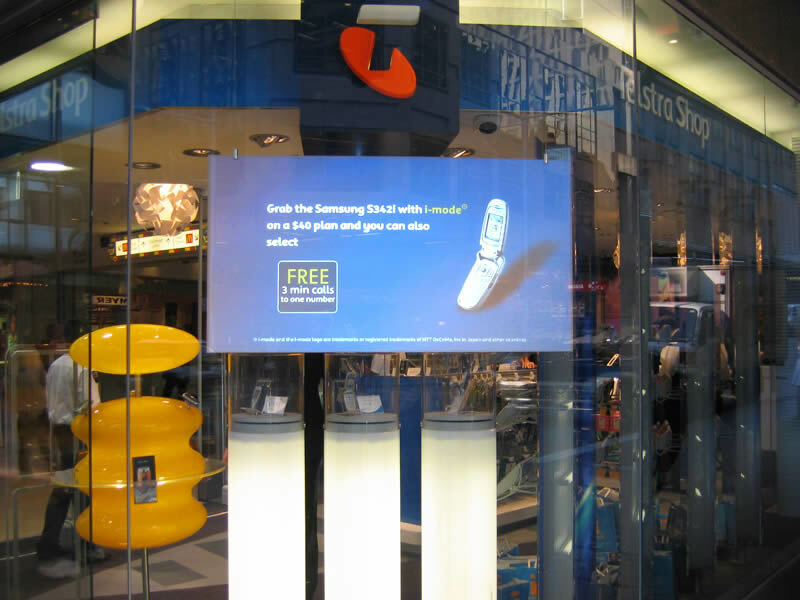 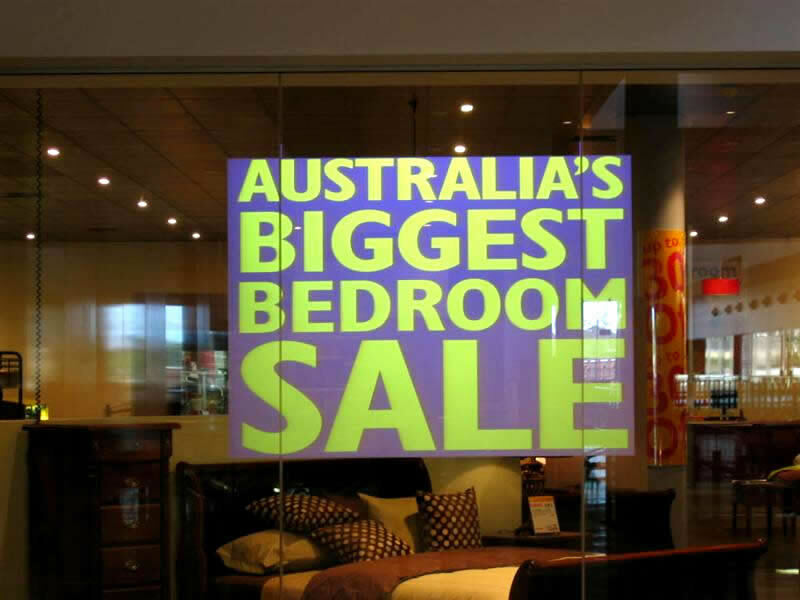 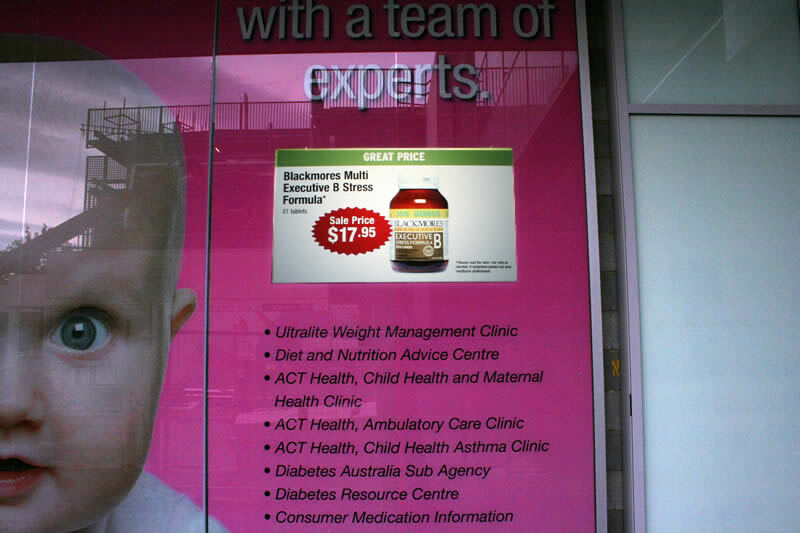 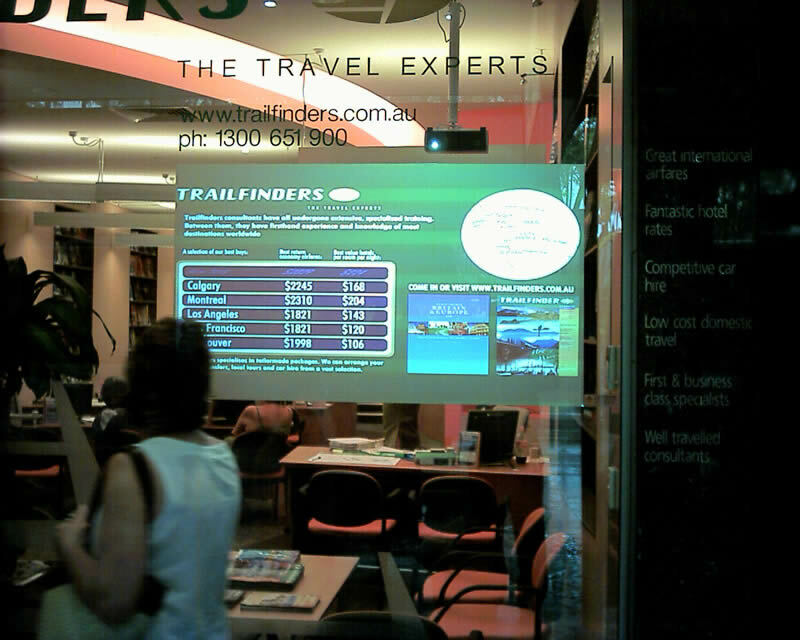 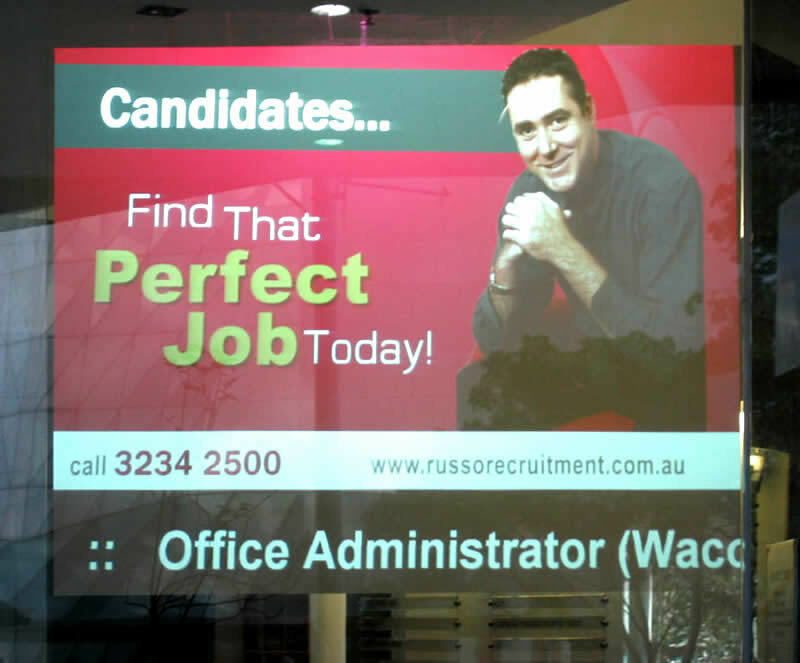 The super clean look of on-glass projection wows its audience while at the same time displaying advertising and promotion information. 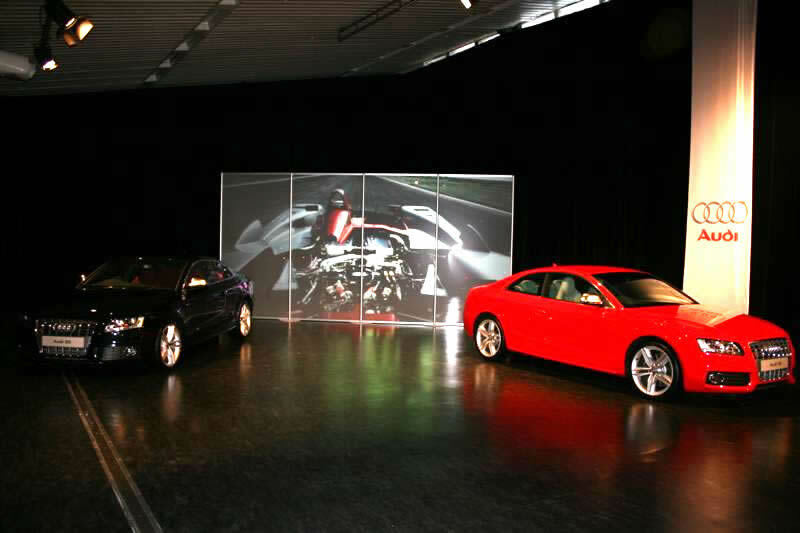 Command supplies various types of projection films suitable for various environments including brightness level, location and effect required. 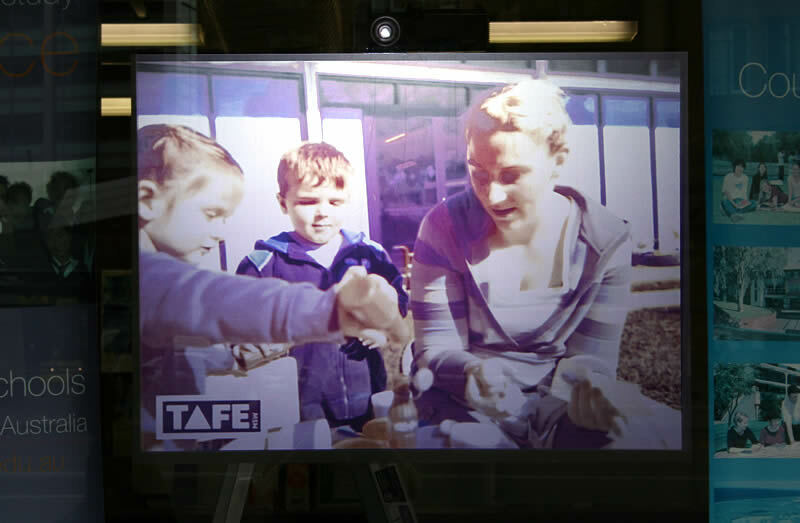 Interactive On-Glass Projection takes this technology to a new level. 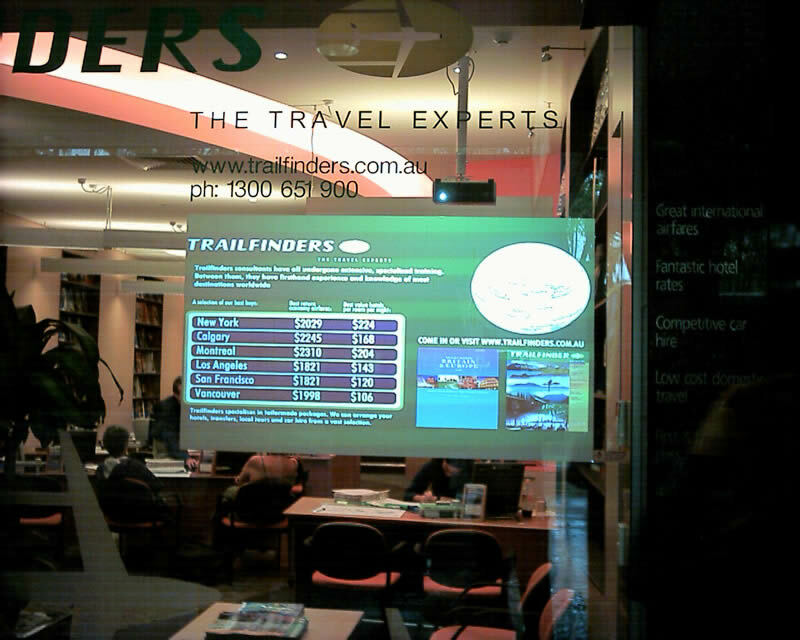 Our team has installed spectacular interactive on-glass projection displays for over 5 years keeping us and our customers at the leading edge of technology. 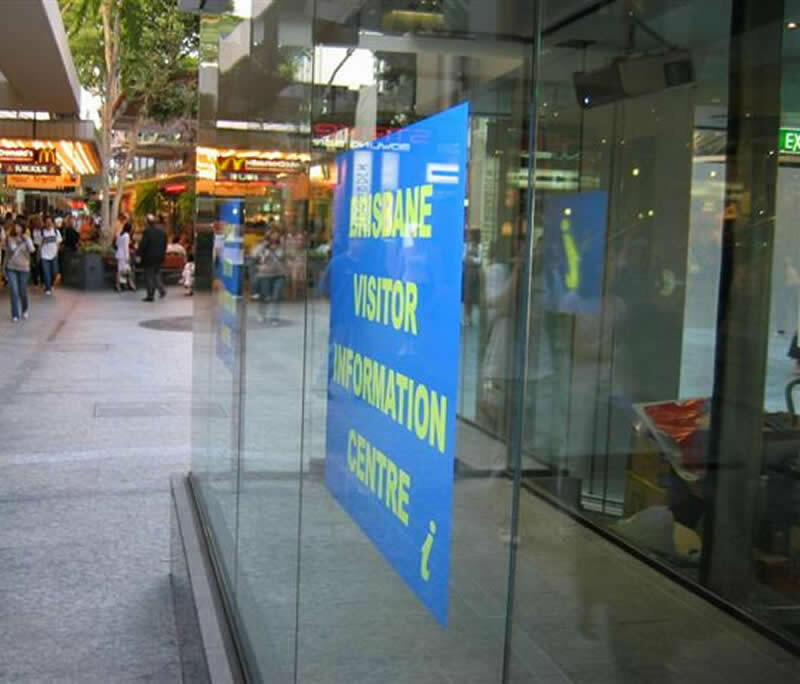 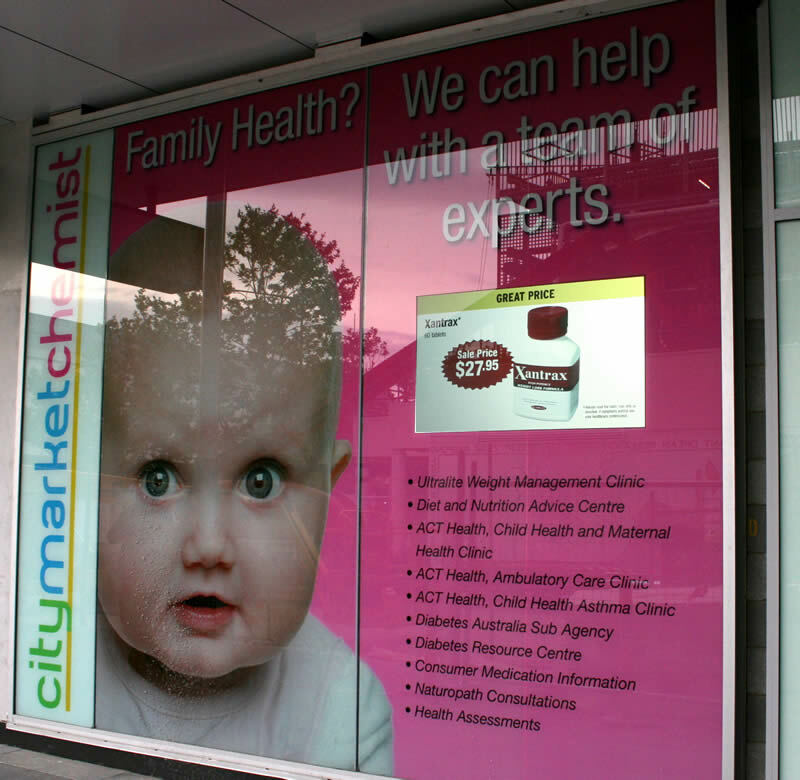 Command will provide your company with on-glass film advice to suit your requirements and desired solution.